Preliminary ProceduresRemove the front floor console accessory trim plate. Refer toFront Floor Console Accessory Trim Plate Replacement.Remove the left front lower console side finish cover. RefertoFront Floor Lower Console Side Finish Cover Replacement - Left Side.Disconnect the range selector lever cable. 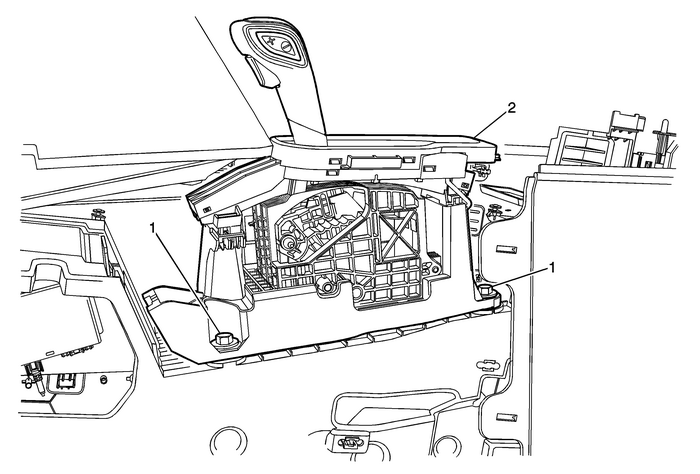 Refer toRange Selector Lever Cable Replacement.Disconnect the transmission control electricalconnectors.Remove the screws securing upper control structure to lowerconsole.